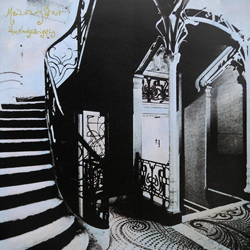 Mazzy Star, essentially the duo of David Roback (Rain Parade) and Hope Sandoval, formed in 1989 out of the ashes of Opal, Roback’s previous band with former Dream Syndicate member Kendra Smith. She Hangs Brightly, their debut album was originally released on Rough Trade in 1990. A dreamy, psychedelic affair every bit as good as their sophomore breakout LP. Reissued on 180 gram vinyl.